Reinsurance and risk capital advisory TigerRisk Partners LLC has made a senior hire from Aon Benfield, appointing Marc Beckers as its new head of European operations. Beckers takes on the role of Partner and Head of EMEA for TigerRisk Partners, a position that will see him tasked with growing TigerRisk’s profile and market position in Europe. Beckers was most recently Head of Aon Benfield ReSolutions EMEA and has considerable expertise in non-traditional risk-transfer structures and life reinsurance, as well as European-focused investment banking experience including originating and executing M&A transactions and financings. “Marc is a highly experienced, analytical and forward-thinking insurance industry executive and we are thrilled to have him join TigerRisk as head of our European operations,” Tony Ursano, President of TigerRisk Partners commented. “His established track record of providing innovative ideas and solutions to European insurers and reinsurers and his long-standing client relationships make Marc an ideal candidate to drive our business further forward in Europe. The combination of his actuarial background, his investment banking expertise, his life insurance and life reinsurance background, and his experience of running EMEA analytics at Aon Benfield, makes him an invaluable resource as we continue to build the leading risk, capital and strategic advisor to our industry,” Ursano continued. Beckers started his insurance industry career working as an actuary at ING focused on health and disability insurance. He then went on to Schroder Salomon Smith Barney where he was a director and actuary working on mergers and acquisitions for the insurance and asset management industries. He also served as an advisor to the CEO of Dexia Insurance before he then joined Aon Benfield in 2007. At Aon Benfield Beckers first headed up analytics for EMEA and then ReSolutions EMEA, a team dedicated to reinsurance capital solutions and optimisation, at the reinsurance broker. 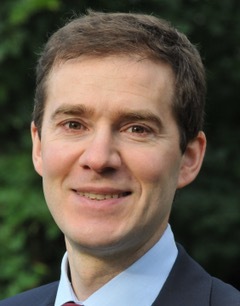 Beckers left Aon Benfield in July 2017. Beckers will be based at TigerRisk’s London office and will report to Tony Ursano, President, with a dotted line to Hugo Crawley, head of TigerRisk’s London operations. Beckers is expected to be an employee of both TigerRisk Partners (UK) Limited and TigerRisk Capital Markets & Advisory (UK) Limited.